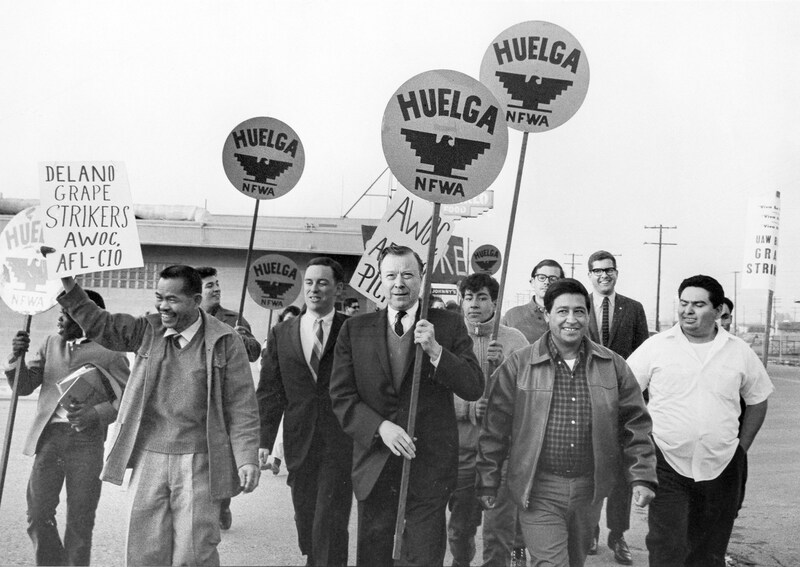 Need a speaker for your event honoring Cesar Chavez? 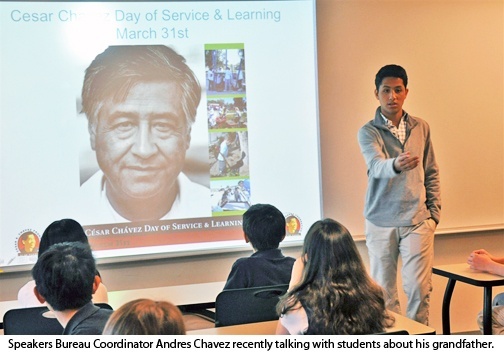 Begun in 2002, the Cesar Chavez Foundation’s Speakers Bureau is an increasingly popular tool of public education about the legacy of Cesar Chavez. It has supplied schools, businesses, government agencies, labor unions, community groups and other organizations with a personal link to Cesar the person and leader, while lending contemporary meaning to his core beliefs and values. Whether it’s an annual event or a school assembly, Speakers Bureau representatives make every effort to fulfill the request and ensure the function is successful, often with a Chavez family member, associate of Cesar Chavez or a current representative from the Cesar Chavez Foundation or the United Farm Workers of America. Having a Cesar Chavez Event? Click here to list it on our online map.